With plush cushions and expansive seating space, this contemporary outdoor sofa will become an instant relaxation destination for you and your family. 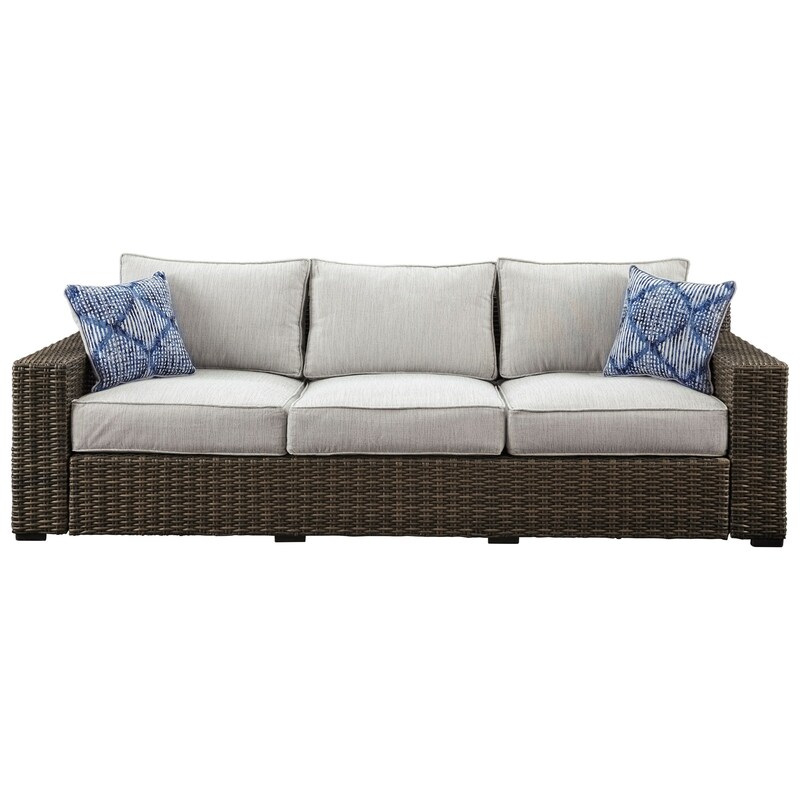 The thick cushions are covered in fade-resistant Nuvella™ fabric for optimal outdoor living, and the beautiful resin wicker design is supported by a rust-proof aluminum frame. The Alta Grande Contemporary Outdoor Sofa with Cushion by Signature Design by Ashley at Household Furniture in the El Paso & Horizon City, TX area. Product availability may vary. Contact us for the most current availability on this product.